During this chase trip, I had started to do hand analysis in the morning use my Surface Pro, it’s pen and a graphics program called GIMP. 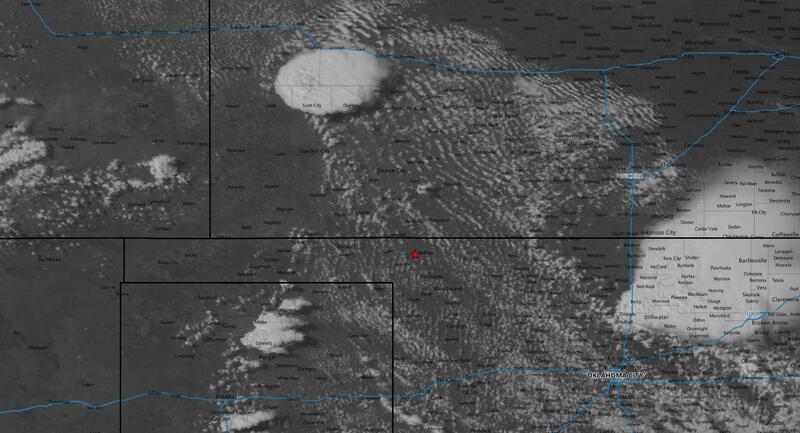 For this morning, at 13z, I had analyzed a surface low in SW KS/Oklahoma Panhandle with a warm front/composite outflow boundary draped across southern Kansas, while a dryline extended back through the Texas Panhandle into Southeastern New Mexico. Upper 60s to 70 dewpoints were making their way up through Oklahoma into Southern Kansas and the target area looked to be along the US 283 corridor from Dodge City down to Woodward. During the same time, SPC issued a small 10% tornado risk area in the same vicinity. It seemed pretty clear cut that was going to be the play. I left Elk City shortly before 16z and began the trek north on highway 34 to Woodward where I would reassess while I cashed in on Sonic’s 50¢ corn dogs! As I pulled into Woodward, there was a huge line of cars waiting at Sonic and every stall was filled so I drove to the west side of town to meet up with Brad Goddard to watch data and wait for the crowd to die down. After thirty minutes or so, I decided to give Sonic one more shot and Brad headed north toward Buffalo. I eventually succeeded in getting my corn dogs and continued on to Buffalo, as well. I arrived in Buffalo shortly before 19z and met back up with Brad Goddard where we joined Jonathan Williamson to watch the sky for initiation. 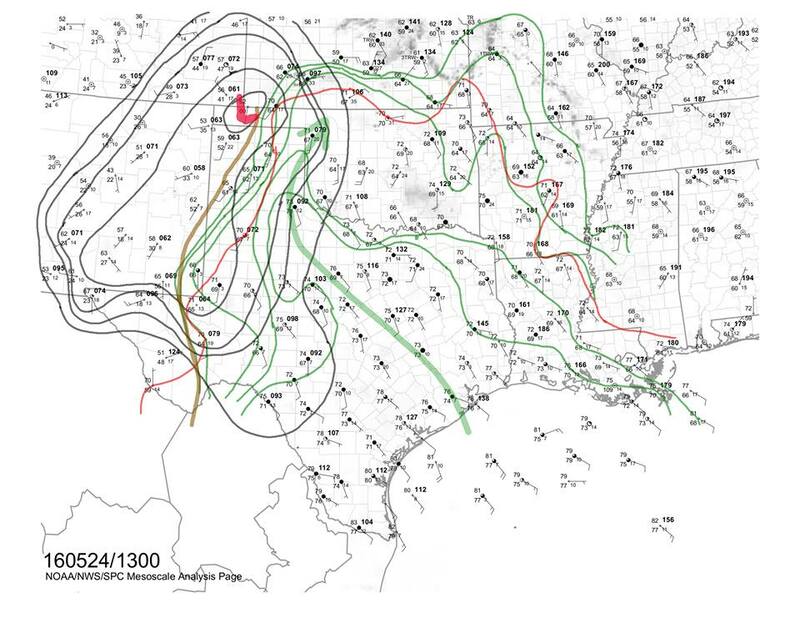 At 1930z, the SPC issued a mesoscale discussion for the area indicating that a tornado watch was likely coming soon as they expected supercells to develop along the dryline and any outflow boundaries that stretched from SW Kansas into North Central Oklahoma. The discussion specifically notice the possibility for a few tornadic storms. We drove to a hilltop along a dirt road a few miles west of Buffalo to keep an eye to the western sky as a cumulus field began to percolate. 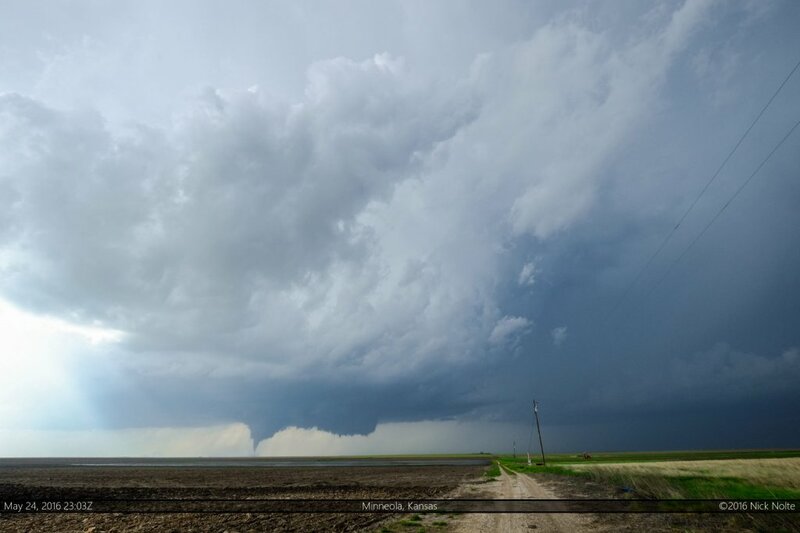 While we were sitting there, word came in of a rather nice looking tornado ongoing near Scott City beneath the supercell that had exploded within the last hour or so. We were interested in the bubbling cumulus to our west and southwest, so we held tight. The SPC issued the tornado watch just before 2030z with pretty high probabilities for tornadoes, specifically noting a couple intense tornadoes were possible. 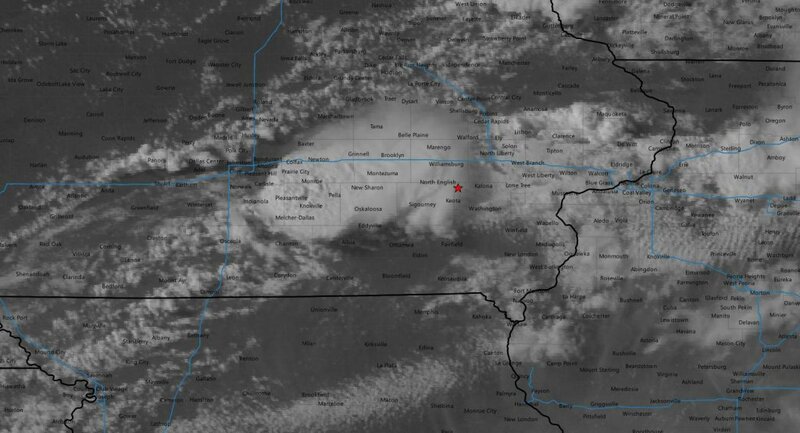 At 22z a new storm started to develop to our north near Minneola and this looked like the one. We started to head north to intercept the storm southwest of Minneola. 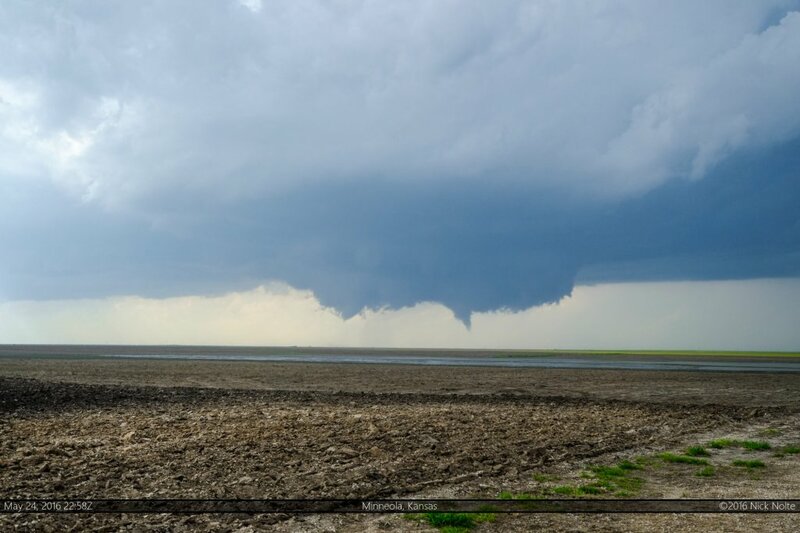 The storm went severe warned at 2217z and tornado warned a mere 4 minutes later as spotters had reported a funnel cloud. 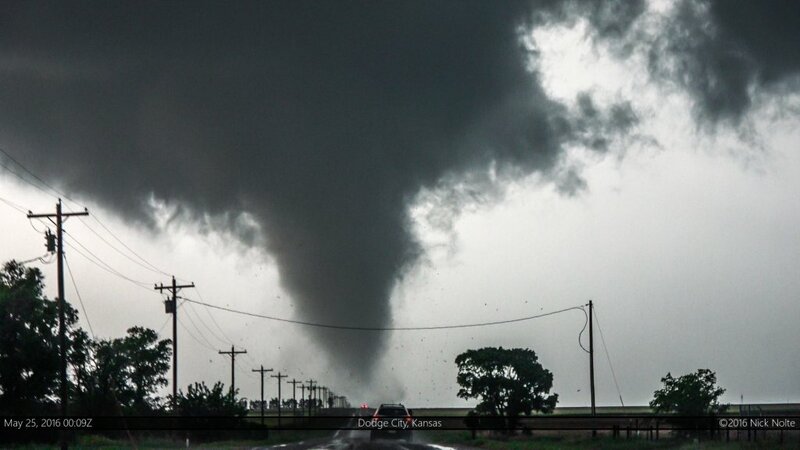 Little did we know, that one of the craziest chase days any of us had experienced was about to get underway. I got separated from Brad and Jon by traffic as we turned onto US160 west of Ashland but got in position just northwest of Minneola as the storm started to wrap up. The first fully condensed tornado at about 2303z as the storm began the main show. 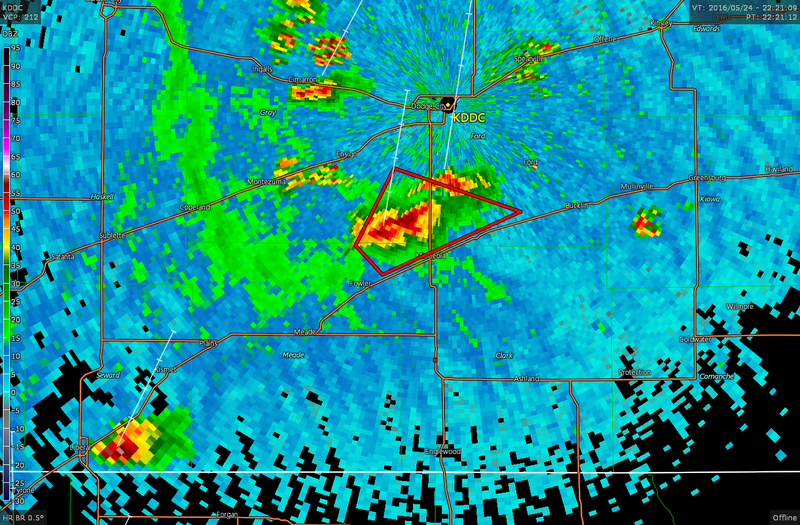 Presentation on radar was classic with a very pronounced hook echo and a tight velocity couplet. I continued to watch the storm from this location for a few more minutes until it started to rope out, then said to myself, “what am I doing way the hell back here? ?” and got in the car to blast north to get closer to the storm. As I drove to get closer, a much larger and more significant tornado began to develop and planted itself amongst the fields as the storm trundled on to the north. 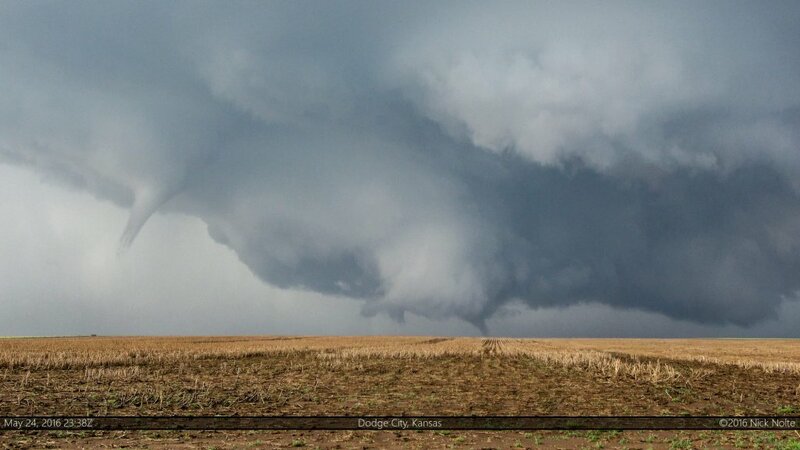 While the large tornado was ongoing a new wall cloud had developed to its east and it was rapidly rotating. 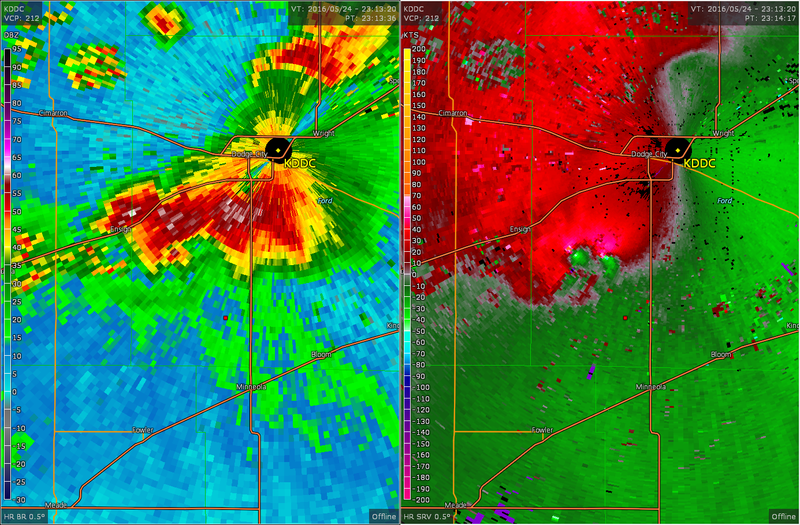 The Dodge City radar picked this up brilliantly with two very well defined couplets. 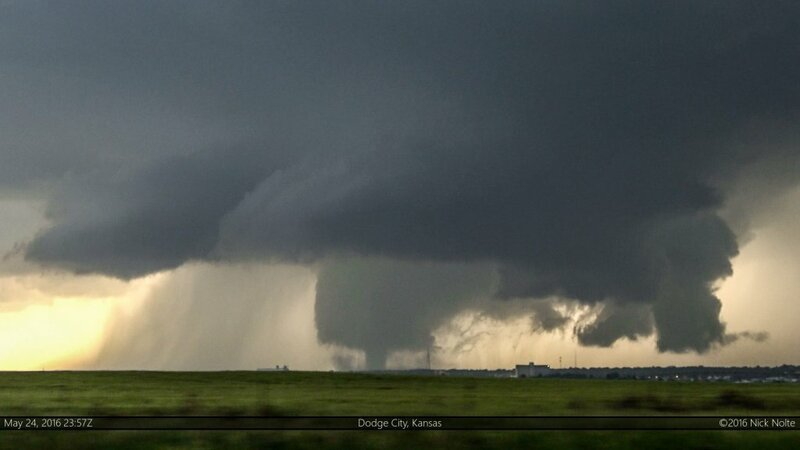 Eventually that new wall cloud did plant another tornado and two were on the ground simultaneously. There was even a brief period where a third needle tornado touched down while these two were ongoing. 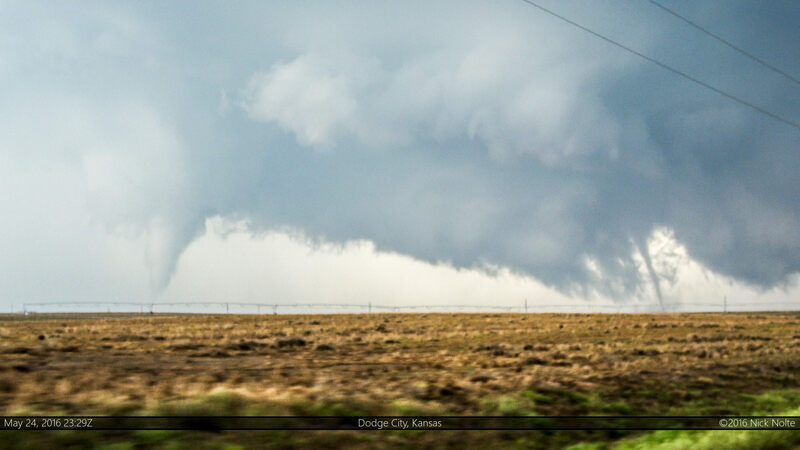 South of Dodge City I pulled off to get another stable shot of video as the main tornado that had been ongoing displayed a truncated funnel as a new wall cloud developed to it’s east. 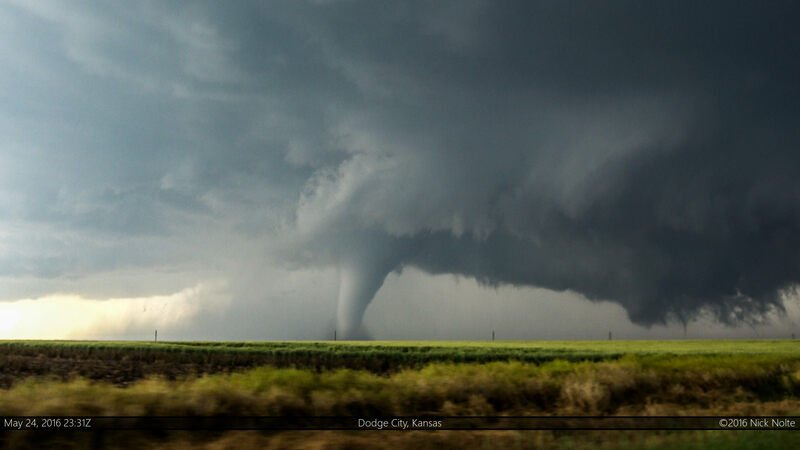 During this transition, the old tornado rotated around the edge of the new mesocyclone while a new cone tornado developed underneath. This storm continued to display crazy evolutions that I had never seen in person before. 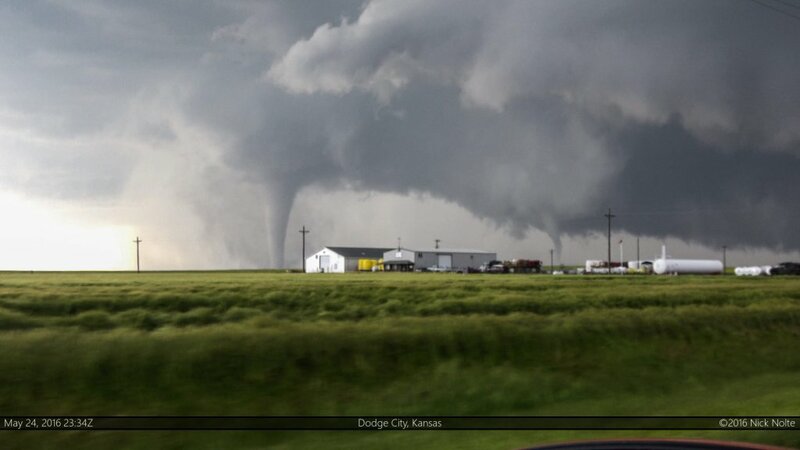 It reminded me of the 6/17/10 tornado event in Minnesota that I watched from home. 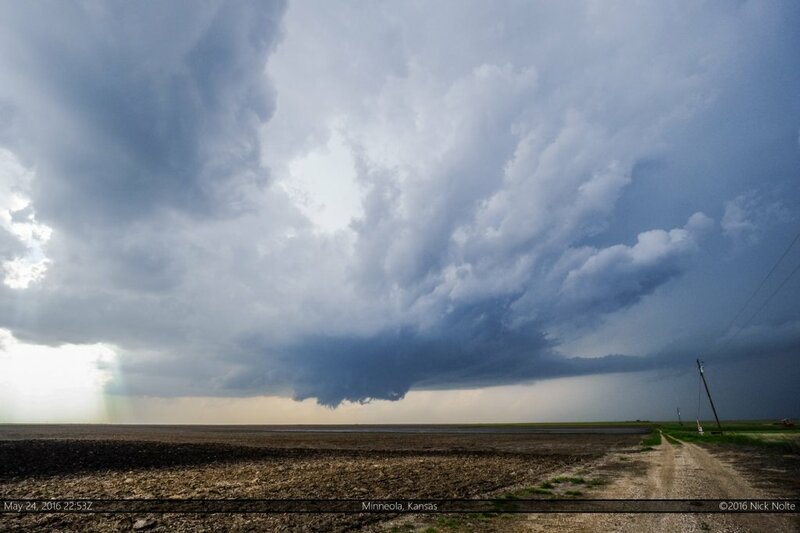 I continued to follow the storm north through Dodge City while filming to the west as the storm exhibited a well defined ground scraping wall cloud that just skirted the west edge of town. I wasn’t sure at the time if the city had been hit or not, but I knew it looked dangerously close. 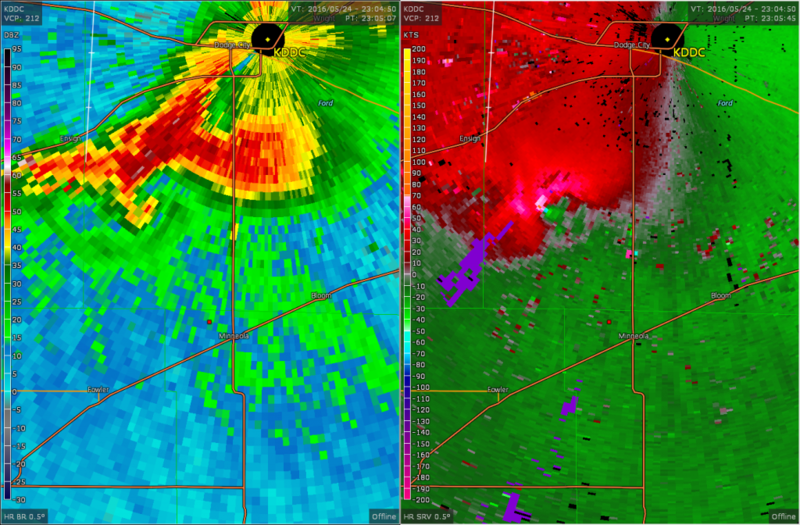 It planted a rather large tornado during this time which ended up being rated a rather high end EF-2. On the north side of town the supercell continued to cycle and put down an additional three tornadoes before finally roping out about 10 miles north of Dodge City. This tornado that tracked from 5 miles north of Dodge City to 6 miles southwest of Jetmore did damage to several buildings including moving a 16-foot propane tank from it’s foundation 100 feet into the middle of 110th Road. 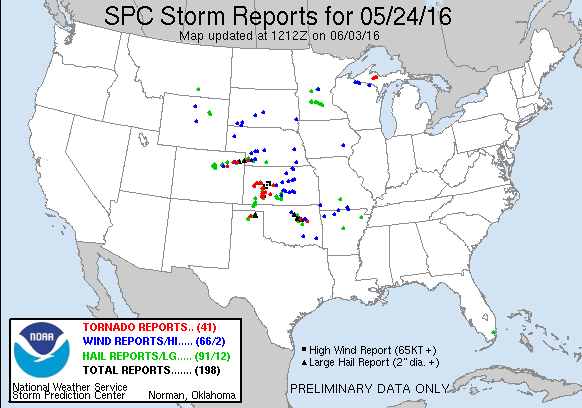 It was rated EF-3. 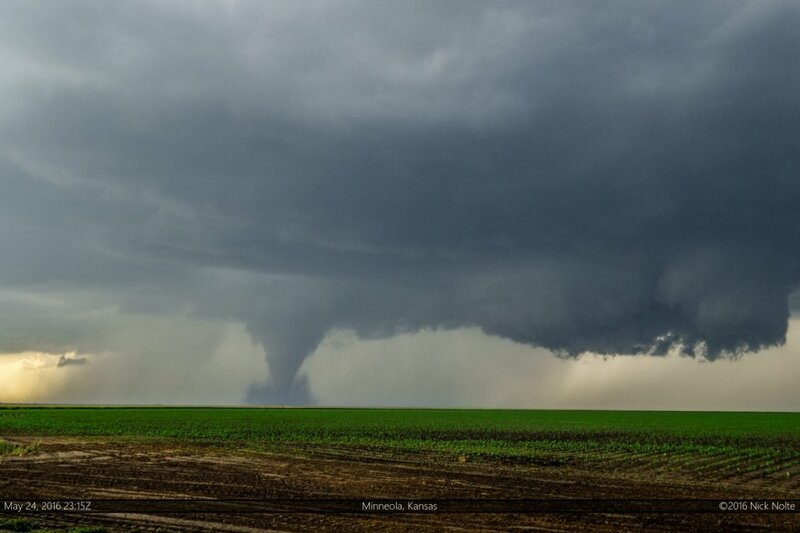 You can view all the tornadoes from this day in the following video which is a short version of my compilation video from this day. All said and done, this was easily one of my top 3 chases, possibly #1, but I’ll let the passage of time determine if that’s true or not.